The 2018 NFL regular season is right around the corner. At long last, the offseason is over and from now until February it is a full-on focus on football. The contract has been king this offseason as a market correction for NFL players kicked in. Green Bay quarterback Aaron Rodgers got paid becoming the highest paid player in NFL history. Odell Beckham Jr. broke the bank with the Giants commanding top dollar at the wide receiver position. Last week Rams holdout defensive tackle Aaron Donald became the highest paid defensive player in the NFL. That is until this week the Oakland Raiders traded holdout defensive end Khalil Mack to the Chicago Bears. Mack then signed a contract that trumped Donald’s and became the richest ever for a defensive player. The New York Jets are in the news–and not for screwing up but for doing the right thing! After hitting a grand slam after trading up to third overall selection in the 2018 NFL Draft, the Jets snagged quarterback Sam Darnold. This was after they took a flier on former Vikings quarterback. Teddy Bridgewater in the offseason while retaining Josh McCown. The Jets traded a 2019 sixth-round pick with Bridgewater to the Saints for a 2019 third-round pick. Getting something for Bridgewater with Darnold NFL ready and McCown as his mentor was a great move. Bridgewater would not have been happy sitting behind the rookie and the Jets get a major asset at almost no cost. Drew Brees now has the same situation Tom Brady was in back in 2014 when the Patriots drafted Jimmy Garoppolo. Will having Bridgewater behind Brees push the future Hall of Fame quarterback to MVP levels? I would bet on Bree’s pride making this a worthwhile deal for the Saints even if Bridgewater leaves in free agency after this season. 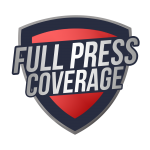 Be sure to come back each and every week for my weekly NFL column at FullPressCoverage.com as I make my weekly game predictions and review the biggest news in the week that was. Let’s get a head start on the predictions with a look at all 32 teams and where they will finish and then the major award winners in 2018. The AFC East has had each of the three non-Patriots teams either in the playoffs or with double-digit wins the past three seasons–that ends this year. The Bills are in full rebuilding mode and are taking a step backward in 2018. Miami is a mess on both sides of the ball and head coach Adam Gase tried the unique tactic of divesting his roster of talented players over the past year. The Jets have a fantastic secondary but no pass rushers on defense and a rookie quarterback. Yawn, another 12 wins for New England and a first-round bye. It really is New England and Pittsburgh in the AFC this decade and then everyone else. The Steelers offense is simply so talented that even with hiccups on defense they should be the best team in the AFC. The Ravens blew up their wide receiver group again like they did in 2016. Joe Flacco still is average at best but they have a playoff defense. Cincinnati is gearing up the offense just as the defense begins its decline. The Browns are improved, but they were never as bad as their record the past two seasons–fire Hue Jackson, please! This is the year the Texans stay healthy enough to get back to the top of the AFC South. DeShaun Watson is a highlight film every week and the defense should be fun to watch dominate the line of scrimmage. The Jaguars are facing a first place schedule and that will drag them down–also, Blake Bortles. Tennessee overachieved in the regular season and Mike Vrabel will need a year or two to get things running his way. The Colts get back Andrew Luck which automatically makes them a playoff contender, but the rest of the roster is thin of difference makers. No excuses for the Chargers in 2018–put up or shut up. They have the most talent on both sides of the ball and should win the west. The Chiefs take a half-step back with Patrick Mahomes going to have growing pains in his first year as the starter. I love the Broncos’ defense adding Bradley Chubb (what was Cleveland thinking passing him over?) opposite Von Miller, but that offense is not winning enough with career back-up Case Keenum behind center. The Raiders were ten guys and Mack before the trade–what are they now on defense? Jon Gruden is destroying this team. The Super Bowl hangover is a real thing and Nick Foles is realizing just like Eli Manning and Joe Flacco that getting hot at the right time does not guarantee future success. Love that Eagles pass rush in 2018, though. Are the cowboys b-b-b-boring on offense? Say it ain’t so, Jerry Jones. New York is improving but Eli is not taking them to the promised land–they will regret passing on Sam Darnold very soon. Washington (another Gruden) is a mess? Shocking that a Dan Snyder team is dysfunctional–simply shocking. I love the race in the NFC North with the Packers and Vikings. Minnesota’s offensive line woes will slow them, but a great defense and playmakers around Kirk Cousins is a recipe for success. The Packers cleared a lot of dead wood on offense and are young and fast on defense all of a sudden. Plus, that Aaron Rodgers guy is healthy. The Bears are the darling pick but I have not bought into Mitchell Trubisky being the answer at quarterback. The Lions are starting over again with Matt Patricia and there will be growing pains. Atlanta–had they punched the ball in at the goal-line and beat the Eagles as they should have–may have got back to the NFC Championship game. I love their defense and adding Calvin Ridley to that offense is scary. The Saints are right behind the Falcons but Marcus Davenport is under pressure to perform immediately. Carolina is tough to figure out as Cam Newton is simply too inconsistent–Luke Kuechly is a delight to watch though. Tampa Bay is a train wreck and could start 0-6 with that tough start to the season (without Jameis Winston the first three weeks). Los Angeles is intent on running out a super team this season. I still have not bought into Jared Goff as a legit Super Bowl quarterback and need to see more of him growing in 2018. Jimmy Garoppolo is great but the San Francisco defense is not ready for primetime. Seattle is in full rebuild mold and needs to get rid of the Earl Thomas distraction yesterday. Arizona has no offensive line and it is just a matter of time before Sam Bradford goes down. Falcons over Saints. Vikings over Packers. Falcons over Eagles. Rams over Vikings. The Falcons are so talented on both sides of the ball it would be a travesty that they do not get back to the Super Bowl with this group. I love the idea of this team winning two road playoff games to get back to the big game. Texans over Ravens. Chargers over Chiefs. Steelers over Chargers. Patriots over Texans. How many years has the viewing public been denied a Steelers-Patriots AFC Championship game? Frosty Heinz Field in January sounds perfect. Unfortunately, the Steelers will switch to play zone defense after taking the lead late and lose the game. This seems like the time for a 28-3 joke but I will refrain. Can Tom Brady put the drive together that he should have against Philadelphia last year and he did to the Falcons previously? Sure, why not. The future greats take their lumps to the present greats one last time. Brees and Ryan have so many weapons on offense it is scary. Flip the awards, or give them both to one or the other, they both should have huge years. Joey Bosa is still improving–how scary is that thought? Adding Calvin Ridley to an offense with an MVP quarterback, the best running back duo in the league, the best wide receiver of the past decade, and a great (if underrated and underappreciated) offensive line is scary. I said it earlier and repeat it again: Cleveland, what were you thinking when passing on Bradley Chubb? -Hal Bent is a Staff Writer for Full Press Coverage Sports Media. He covers the NFL and the New England Patriots. Follow him on Twitter at @HalBent01.